Conversation Analysis could be defined as a discourse analysis method which relies on the assumption that only talk-in-interaction constitutes a valid object of analysis: relevant meaning is only created in the framework of an actual conversation between two or more participants. Thus, Conversation Analysis is often described as a positivist approach: conversation analysts argue that it is indeed possible for researchers to be neutral and to achieve scientific objectivity. This contrasts with postmodern or poststructuralist approaches, which could be seen as rather dominant – I would argue, for good reasons – in the field of discourse analysis (I’ve written a little bit about these in a previous article). Conversation Analysis has nonetheless strong sociological roots, and is related to ethnomethodology which makes it even more interesting! Conversation Analysis needs a bit of practice to master, and requires an understanding of a certain number of notions, which all revolve around the organisation of talk as turn-taking. It provides the analyst with a solid toolkit for describing the structure of a particular interaction. For instance, the term adjacency pair describes the couple made by a particular utterance which invites a response, and the response itself (these are thus quite common). As misunderstandings can themselves be quite common, a phenomenon described by conversation analysts as repair occurs. This term describes the set of actions undertaken by participants so as to reestablish the interrupted flow of a conversation. A last concept I would like to quickly add to this short list is the notion of preferred/dispreffered responses, which I hope is self-explanatory. I’ve found a nice paper online (pdf) which describes conversation analysis much better than I do. I also posted an article a while back featuring a short example of how conversation analysis can be performed on a particular bit of conversation, in this case the transcript of a call to a suicide help line. So how can we apply this interesting methodological framework to the analysis of a conversation not between two human subjects, but between for example a person and an interactive system? If we argue that each action of the user and each prompt/response of the system are equivalent to the utterances that form a natural conversation, we are now equipped with a powerful analysis tool that provides us with interesting ways of analysing (and hopefully, improving) the ‘interactional flow’ between user and system. The notions of adjacency pairs, repair, and preffered/dispreffered responses indeed seem applicable to interaction design, and there is much more to conversation analysis than these. For instance, the particular branch of conversation analysis dedicated to institutional talk might also yield some interesting results when applied to the study of human-computer interaction. It would be quite interesting to find a small bit of interaction which could be analysed using conversation analysis see where it takes us. I would do that now if I weren’t so lazy, but hopefully this will be the subject of a future article! This is indeed an interesting premise. I must admit being disappointed at not reading the very thing you have created anticipation for i.e. an analysis of a human-computer interaction to which conversation analysis could be applied. Apparent limits to the idea pivot on just how much conversational artificial intelligence might need to be added to make such an analysis possible. Most interaction design can be loosely defined as a set of actions which are prompted as a reaction to a particular user action, leading to an end goal (a purchase, a link to relevant content, input of data to be used to create an account, confirmation of sending of short texts on a social network, etc.). What about user inaction? Should the interface provoke a response? Could interaction be pre-empted? Within closed systems, users have a given need before they begin simple interactions as seen on many commerce sites. But what of certain futuristic scenarios of robots taking orders in restaurants, making suggestions, etc? In some user research I have seen, users are actually very reticent to respond to interactive responses from computers. They tame the machine and make effort to understand linear and semi-linear progressions on websites. They do not wish for extraneous suggestions, long-winded “conversations” with the machine, but rather a simple response to a set of given inputs, often a simple click, touch or the entry of a minimal set of search parameters. Much of conversation is “filler”, and this is difficult to manage without a large dose of artificial intelligence. The prevalent form of actual conversations in the virtual world is in after sales care, where it is less obvious what to do (aside from keyword searches) to find an answer to a problem. Still, in these cases, it is less a “conversation” than simple lexical analysis and fuzzy searching hidden behind a crude avatar. Would love to see the analysis to which you allude. I allude briefly, in “conversations with artificial intelligence” http://www.caperet.com/2008/10/the-latest-in-conversational-artificial-intelligence/ to the notion of conversations between users mediated by an interactive interface which also has notions of reputation (voting best answers, creating a public taxonomy, etc.). The many-to-many conversation which is seeded by a request for information from a single person is also a candidate for conversational analysis. Hi Simon, thank you for your comment! I agree that the title of this article might be a tad misleading, I’ve added an interrogation mark to reflect its mostly theoretical content. Although the definition of interaction design in the second paragraph of your comment makes perfect sense to me, I think my definition of ‘conversation’, or more precisely of how this notion can be transposed from Conversation Analysis literature to the field of interactive system evaluation (and, by extension, design) diverges slightly from yours. Indeed, although ‘natural’ conversation simulation using artificial intelligence would be quite an interesting area to explore in this framework, I wanted with this article to be more “general” and see any interaction between a user and a system as the equivalent of a ‘conversation’ as it is defined theoretically as an object of study by conversation analysts. My aim was thus to argue that by making that leap, it might be possible to benefit both from the sound theoretical grounding of this social scientific tradition and from the methodological tools it could provide for the analysis of, for example, a particular user journey through a e-commerce site. We can then ask ourselves what would for instance be the equivalent of an ‘utterance’ in this context, and it becomes already quite complicated as an interactive system has a lot of different/simultaneous channels through which it can ‘converse’ with its user, while the user (at least at the time I am writing this) is still quite limited in what she can do to communicate with the system. More prosaically though, I will try and do a short bit of analysis of a typical user/system interaction of a good ol’ web application, to see if this idea holds water! I read your article and found it quite interesting, as well funny! I remember trying Alice a few years back, and found it quite impressive, although it is quite easy to trip the AI… I’ve also encountered a few bots like these on websites for customer support, but most of them made me want to punch my computer after 30 seconds… ‘Robotic’ Phone helplines as well seem not to work very well, at least with me! 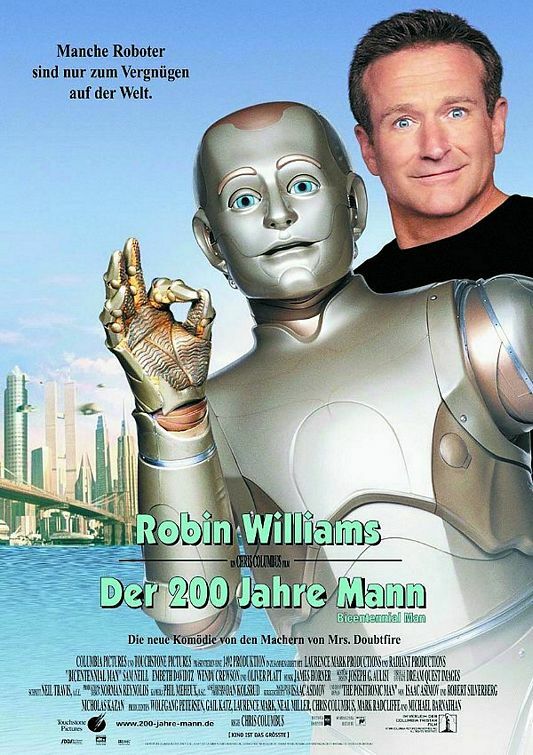 But I think I’m scared of robots since I’ve seen the bicentennial man.